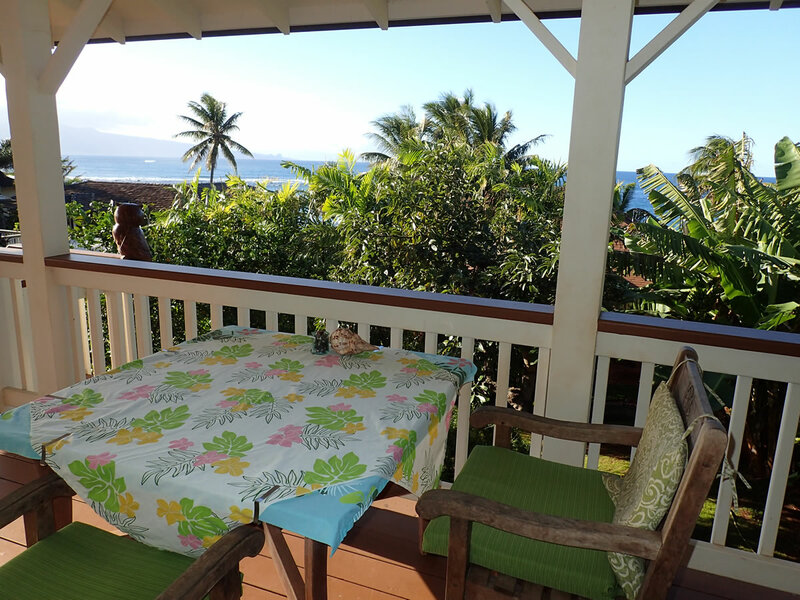 Maui by the Sea is a beautiful vacation rental – an ideal ocean-view cottage located between Paia and Ho’okipa, on Maui’s scenic and exciting North Shore. Our two-story plantation-style cottage has gorgeous views of a sapphire ocean with dancing waves. 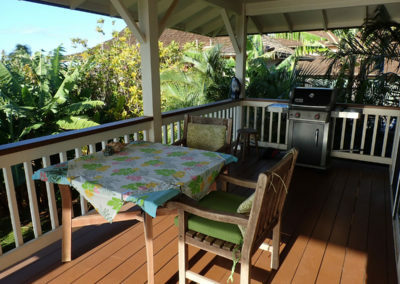 Simply sit back and relax on the private covered lanai and enjoy the view! The 500 sq.feet central air-conditioned apartment is upstairs (downstairs is the open garage), surrounded by a lovely Hawaiian tropical garden with bamboos, palm trees, gingers, heliconias and fruit trees. The inside is cozy and elegant. 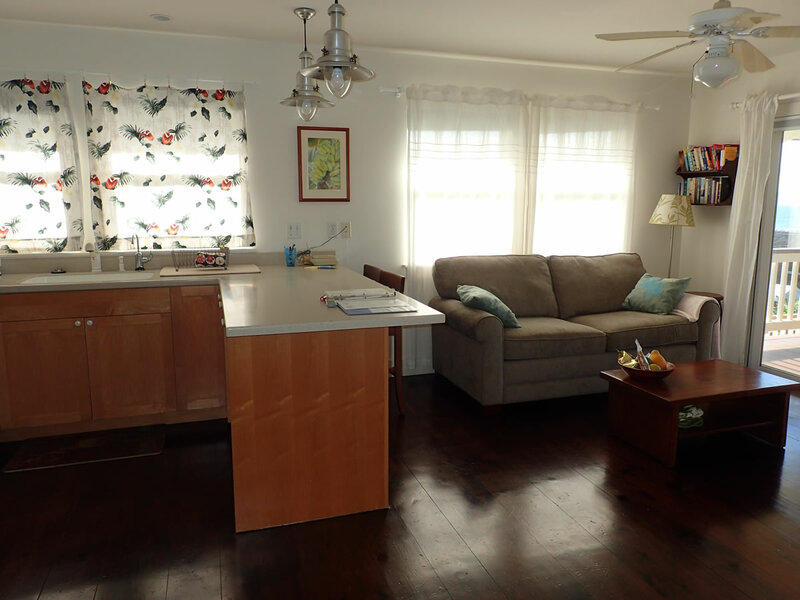 A separate bedroom with a queen-sized bed, full bath, and full kitchen complement the layout. With 18 years of experience, Maui By The Sea has always operated under a legal County of Maui permit and our current permit is valid through 2021. Walk out into the front yard, and watch surfers enjoying the beautiful blue waves! Maui by the Sea’s property is located right on the ocean, fronting a popular local surf break. The entertainment never stops! Your cottage is 150 feet from the ocean. (Access to the water is possible but there is no beach in front of the property; it is a rocky shoreline). 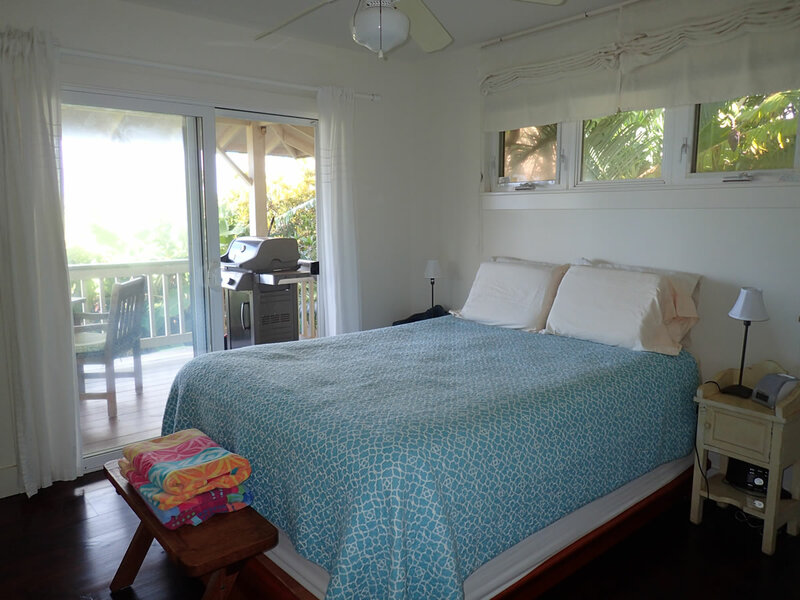 A sandy beach is 200 yards from the cottage with access for windsurfing, surfing and snorkeling; or if you wish, just sunbathing on the golden sand. Maui by the Sea was perfect for us! Such a great little Get-Away and so close to the town of Paia and even Kahului. The covered porch is wonderful for morning coffee and the view is great no matter what time of day! Sunsets are amazing! The cottage has everything you need which is so helpful. The cottage is absolutely perfect and our hosts were even more special. Mahalo for always being more than happy to answer our questions and making us feel at home (even before we arrived). We can’t imagine staying anywhere else on the island and wish we were staying longer! The cottage was the perfect place to call home during our trip. We cooked at home quite a bit and enjoyed the spectacular view from our deck. The location was perfect since we are only a 10-15 minute drive to the kiting beaches and also close to town. We want to come back! 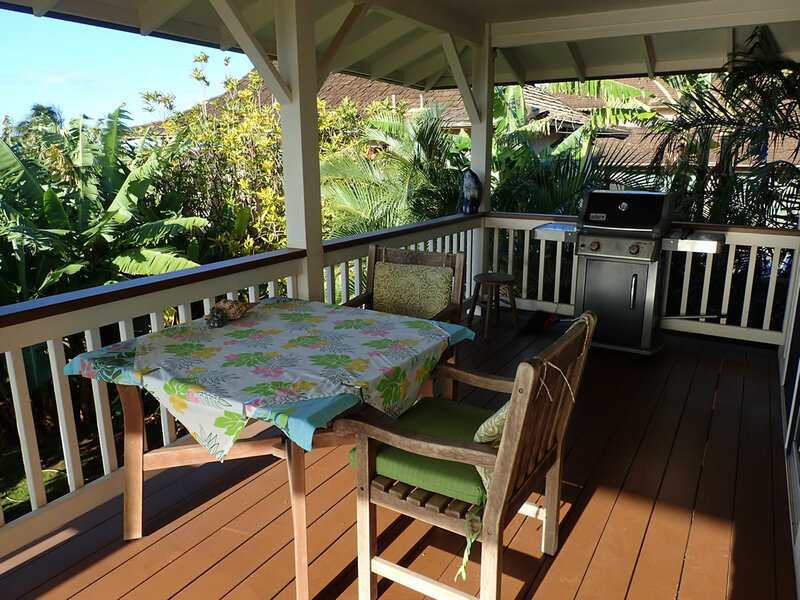 This lovely cottage was the perfect home base as we explored the many sides of the island – coffee at the picnic table on the lawn, grilling on the lanai, puttering about the spacious kitchen. And such an amazing location, and what a view! Truly epic sunsets! 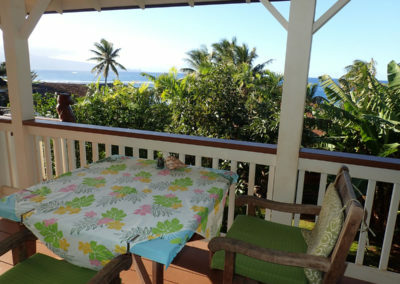 Maui by the Sea is a great vacation rental for beach and water sports lovers, with a great ambiance and location. It’s the perfect place for your honeymoon! The ocean is at the door, the beach is a short walk away, and Paia, the coolest little town in Maui is very near. Kahului Airport is only ten miles away from our little heaven, and many of Maui’s most popular attractions are within easy reach. If you have any questions about the cottage, the North Shore, or Maui, please call Valerie at 808-385-0311or fill in our contact form.